Adrian Brock‘s new piece in the February 2016 edition of the Monitor on Psychology looks at the differing professional experiences of Karl and Charlotte Bühler. He emphasizes how comparison of their respective careers provide examples of the ways that disciplinary reception of theory and research is context bound. It is widely accepted that immigrants have to adapt to a new culture in their personal lives. What is often overlooked is that émigré psychologists had to adapt to a new culture in their professional lives as well. The differing success of Karl and Charlotte Bühler in the United States shows that some were more able to adapt to this new professional culture than others. These local differences continue to exist. It might seem surprising that someone can be regarded as a major figure in the history of psychology on one side of the Atlantic and virtually unknown on the other, but this situation is not at all unusual. The only thing that makes Karl Bühler stand out from the others is that he spent the last 23 years of his life in one of the countries where he is virtually unknown. Find the full work here. In a recent issue of History of Psychology, 11(2), announced just as AHP was preparing to break for the summer, Anton Yasnitsky and Michel Ferrari published an article adding significant depth to our understanding of the development of Vygotsky’s theories following his death. 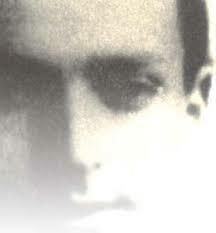 Between the death of Vygotsky in 1934 and the discovery of Vygotsky’s work in the West in 1962, Vygotskian psychology was developed through research done by the first generation of Vygotsky’s students and their followers, primarily associated with the Kharkov School. Surprisingly, these studies carried out in the 1930s, of great importance for the development of virtually all subsequent Vygotskian psychology, still remain largely unknown; this represents a significant gap in understanding the history of Vygotskian psychology as an empirical study of consciousness. This paper provides a systematic overview of the research agenda of the Kharkov group between 1931 and 1941 and provides new insights into the early development of Vygotskian psychology. Students interested in pursuing this topic further will find a related bibliography at AHP here, originally provided as part of a discussion of Vygotsky’s pre-history in Late Imperial Russia.